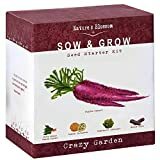 Purple Dragon Carrot 350 Seeds - Absolutely unique! 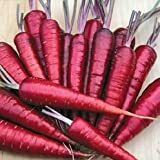 Black carrot seeds for sale – Easy plant to grow, mostly grown for the edible roots but also leaves, planting in early spring (in colder climate) autumn (in warmer climate), better to buy seeds but plant also possible plant or seedling. Root harvesting after 70-80 days, taproot color can be: orange but can purple to black.